The little guy is thrilled to be back at our summer house, where all the toys and books he has forgotten about reside. Last night when we arrived he had a few minutes of running around between them – he was so excited it was funny to watch. A great thing about having the house is having a yard. It’s a big one, with lots of grass and trees, and places to run around. 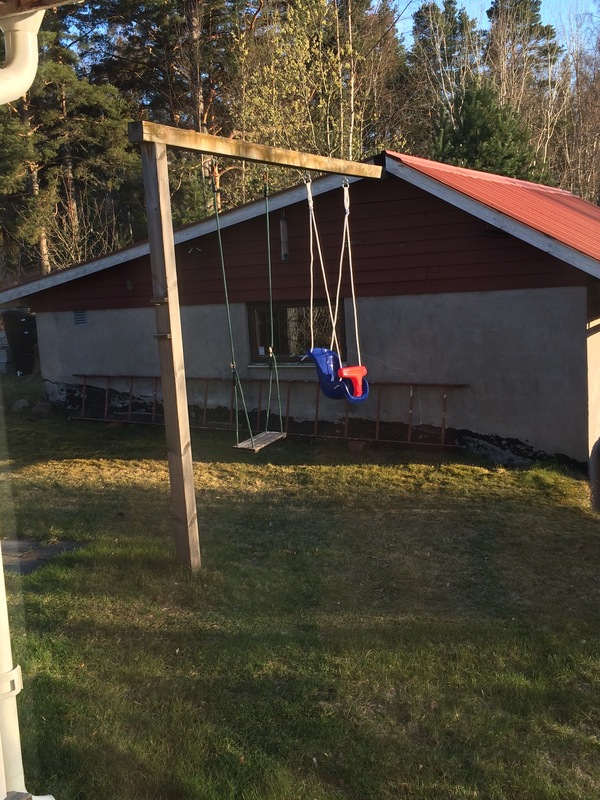 In our yard we have a kids swing. So today, when the weather was really nice, I thought we would go out and run around in the yard; explore and kick the football around. All of this stopped the instant he sat in the swing.